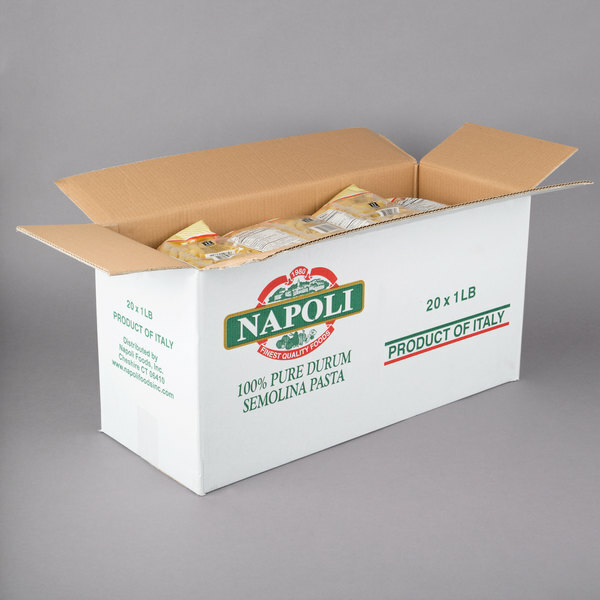 Whether smothered in creamy garlic sauce or tossed with marinara spiked with bold red pepper flakes, Napoli 1 lb. rigatoni pasta pairs perfectly with ingredients that pack a punch of flavor. Its subtle ribbed texture contrasts with juicy kielbasa, crisp cherry tomatoes, and other savory additions; mixed with cheese, it becomes irresistibly soft and decadent. It's perfect for showcasing your signature sauce, adding to a vibrant summer salad, or for baking pasta al forno. 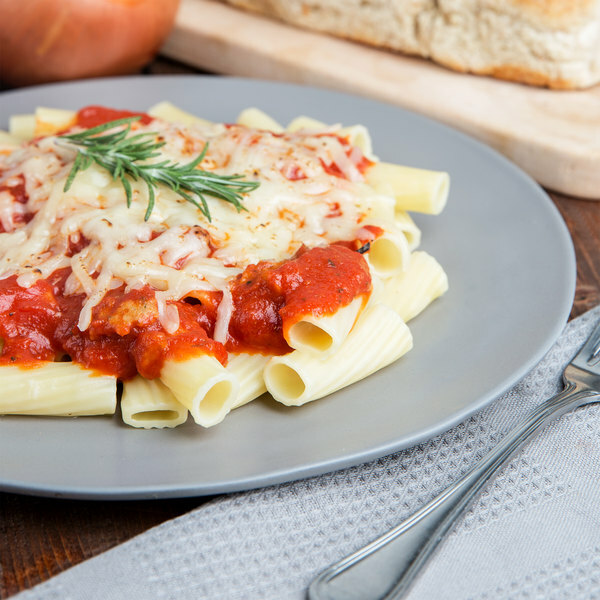 However it's prepared, this pasta brings a touch of warmth to the table, tantalizing the senses with the comforting aromas and tastes of authentic Italian cooking. 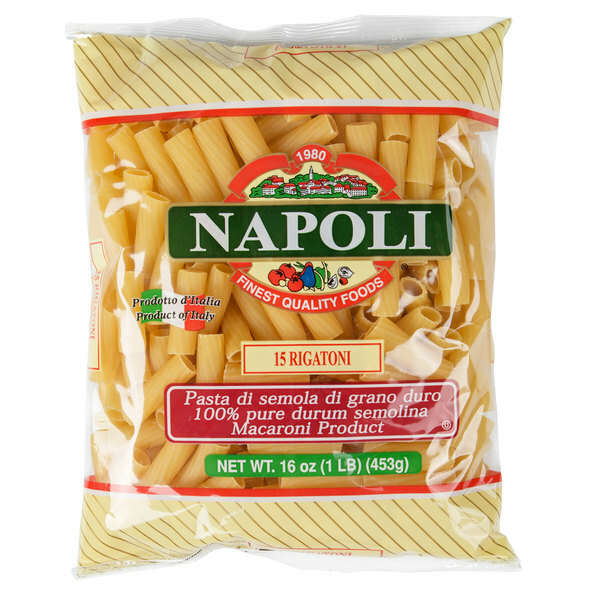 Characteristically short and cylindrical with small ridges, this rigatoni is made of 100% pure durum semolina. Soft and fine, durum semolina is ideal for pasta, easily forming pasta shapes with its supple, moldable dough. This pasta ships dry and is simple to prepare, requiring approximately 12 minutes in boiling water. For every pound of pasta, use 4 quarts of water. A teaspoon of salt can be added to taste too, or left out if desired. With occasional stirring, the rigatoni will quickly become tender and ready for service. Just add the preferred ingredients, plate, and serve! I made a chicken and veggie pasta dish with this rigatoni and everyone loved it. It is a quality pasta and I would definitely order it again.